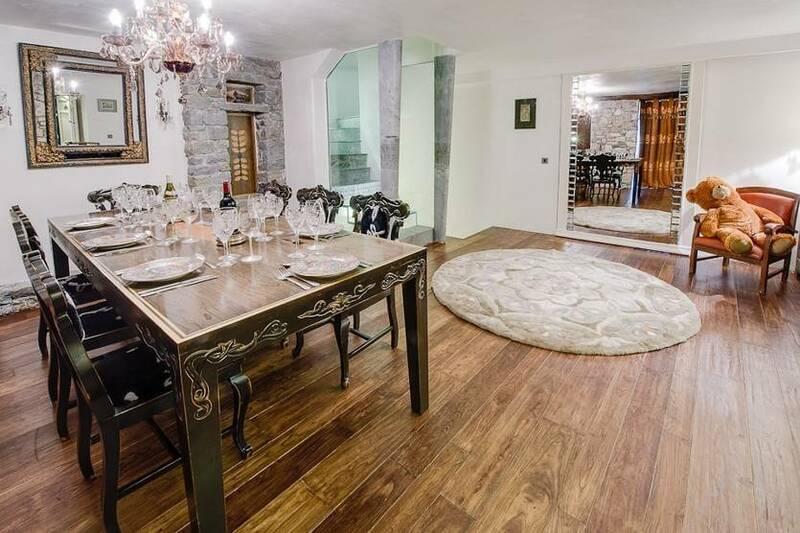 Chalet Chantal Val d’Isere 1 (for 8 pax) and chalet Chantal 2 (for 8 pax) are magnificent chalets created after extensive and expensive conversion of a 1682 monastery, a rare and important historical building in the Alps. These two chalets can be optionally separated, as they are, or connected for 16 pax. with a total of internal space of 600 sq. metres. 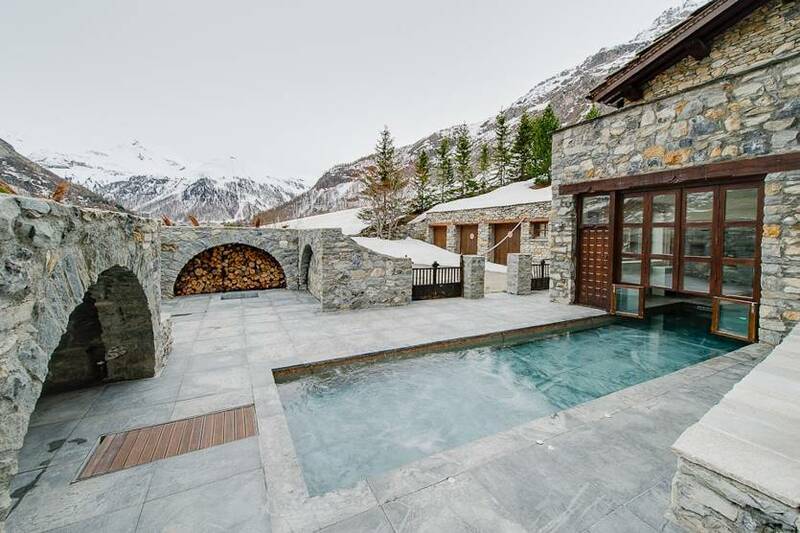 It is unquestionably the best place for skiers and centrally located in the heart of the most famous ski area in the region (Domaine Espace Killy). The chalets benefit from the winter morning sun, allowing safe and easy skiing from and to the chalets. Shoppers are pampered with a choice of chauffeured transport or with a personal walking guide for the river-side forest route to and from shops. Discreet, luxurious, exclusive! The chalets are ‘on the piste’ with unique ski-in/ski-out facility. Swim-in/Swim-Out: The only chalets which offers ‘swimming under the stars’, a wave machine, and jacuzzi facility in the outdoor section of each pool. Ski-rooms, furnished with an eclectic mix of antique furniture, and practical heated boot-warmers, sun-cream, and refreshments. 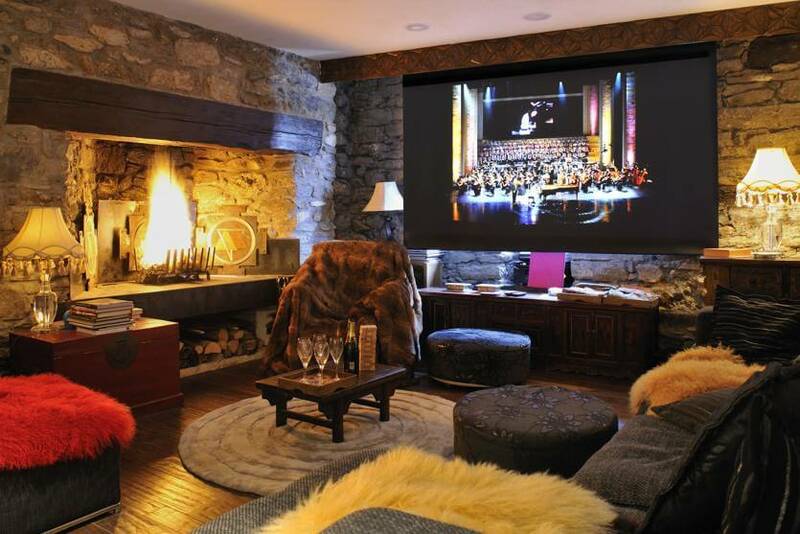 WI-FI, Home Cinema systems, and giant HD screens, with SKY HD access.